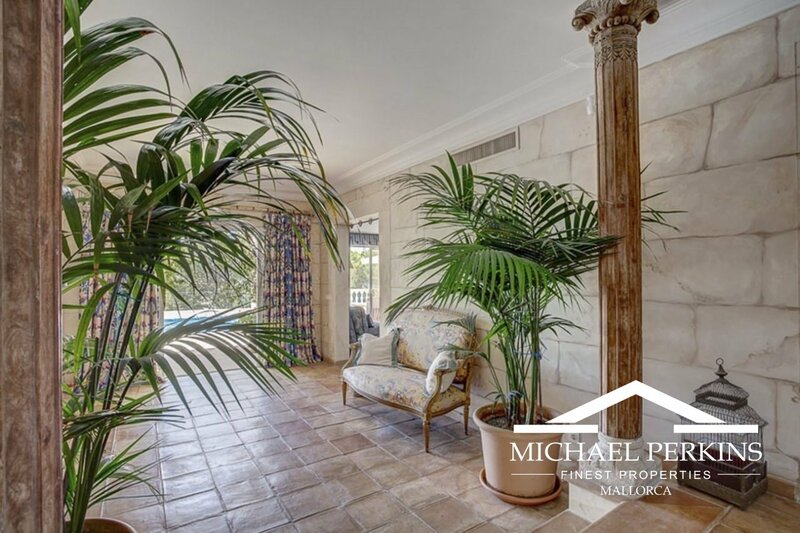 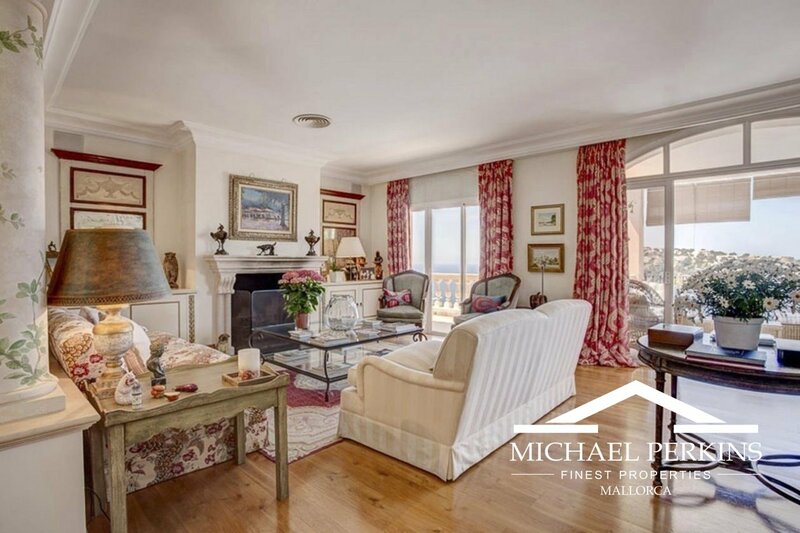 This superb family villa is located in the most desirable part of Port Andratx where it enjoys spectacular panoramic sea views. 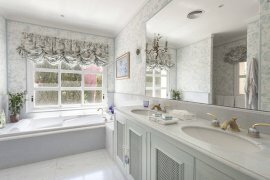 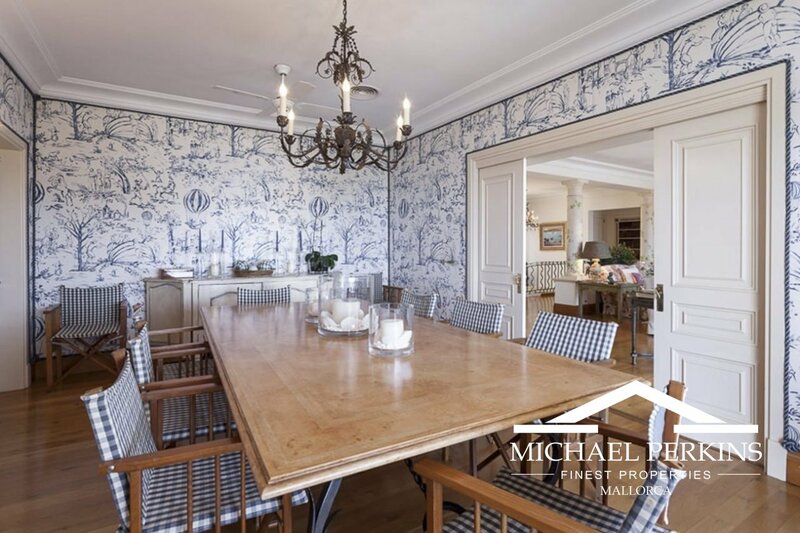 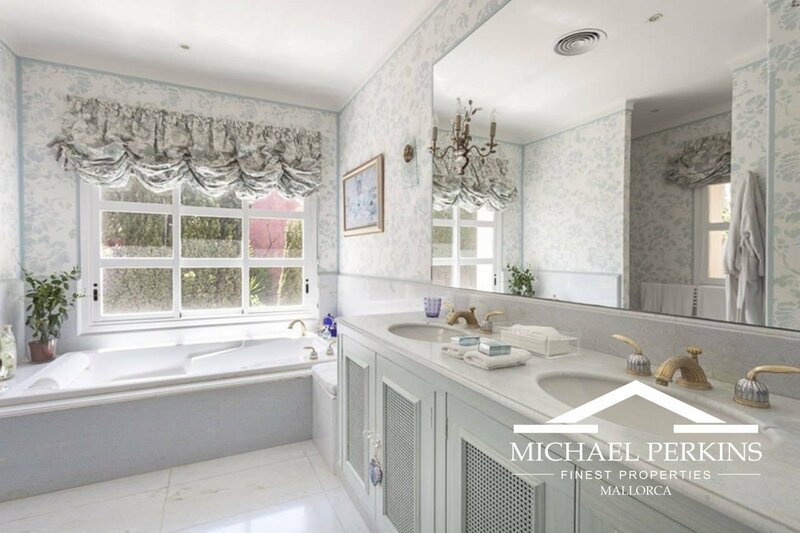 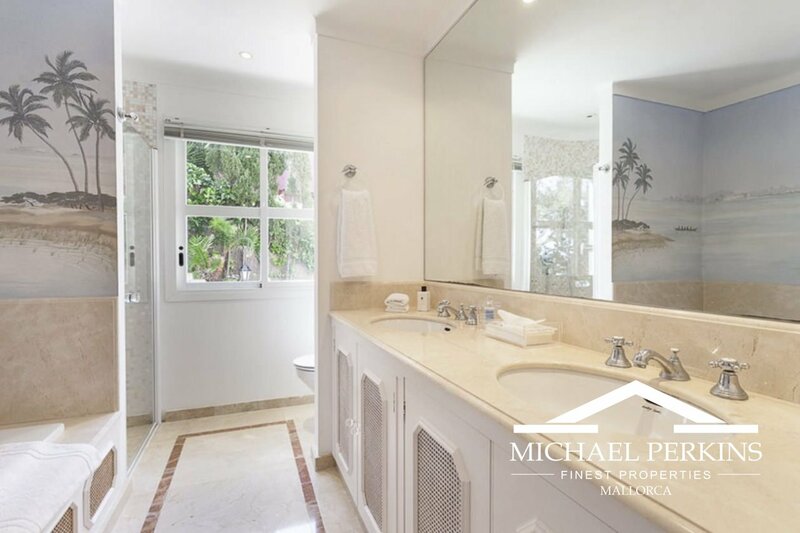 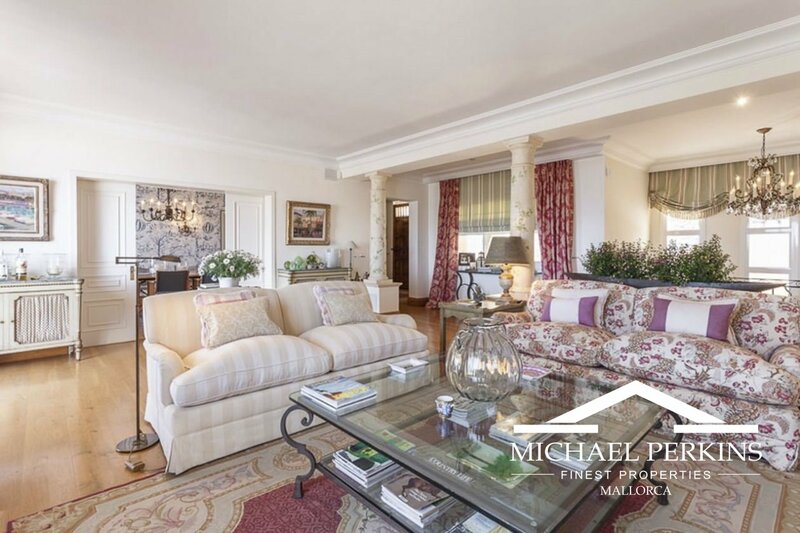 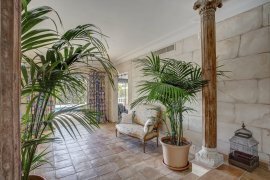 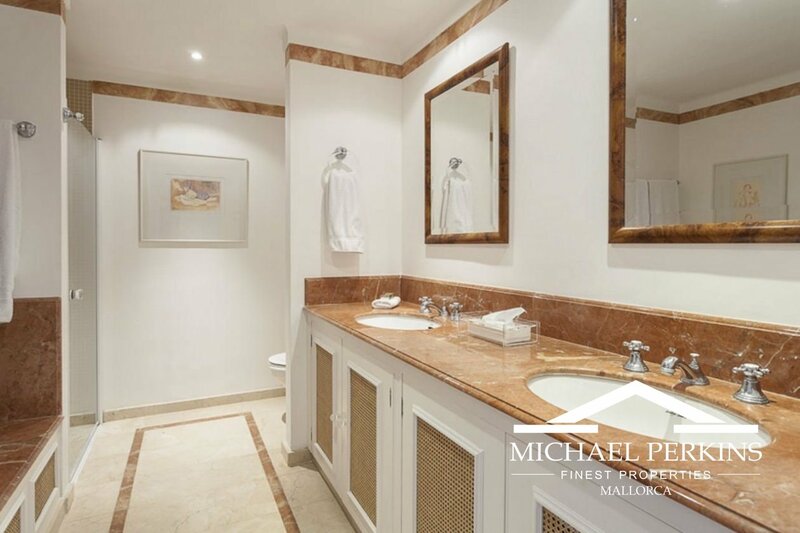 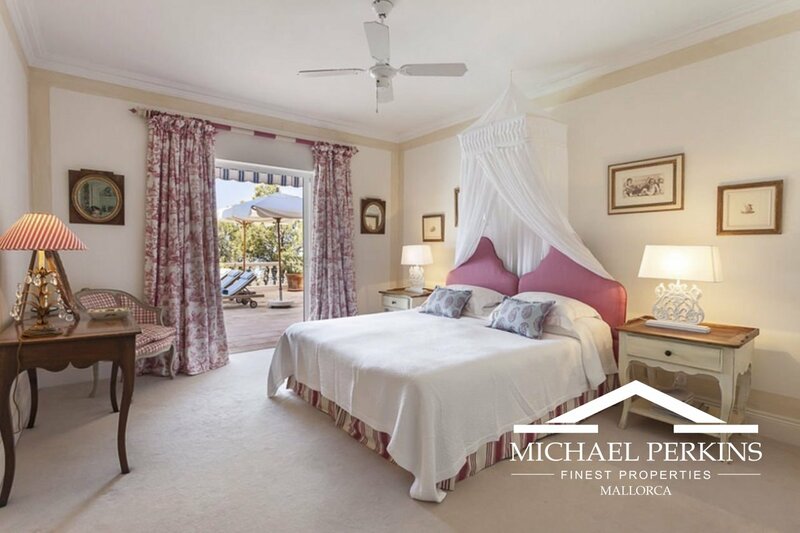 This substantial property provides six bedrooms and six bathrooms including an independent guest or staff apartment. 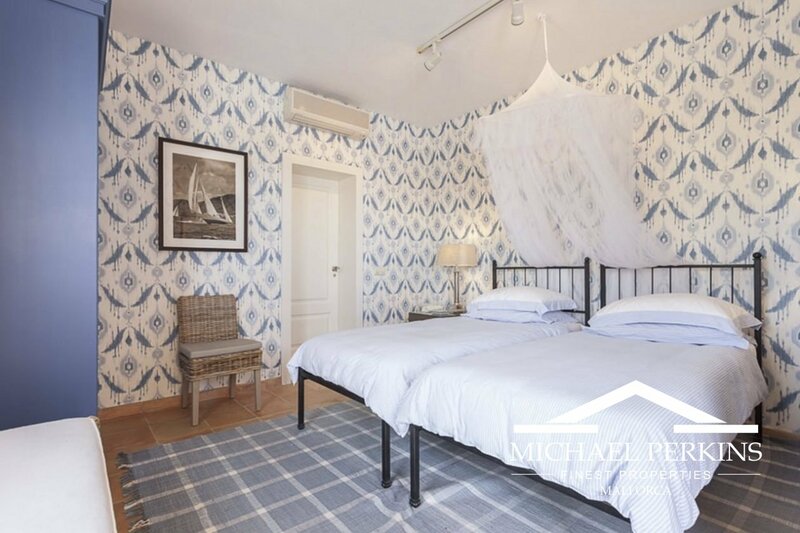 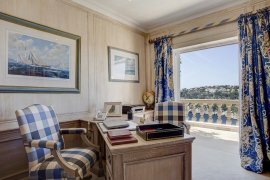 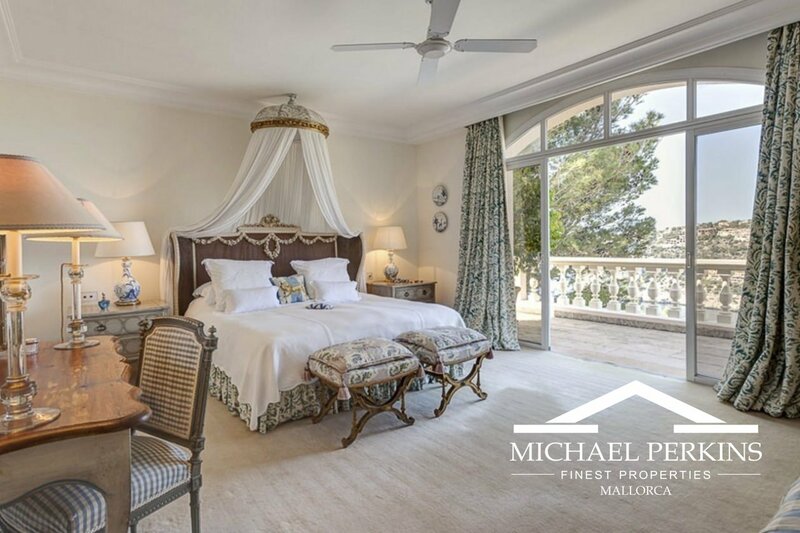 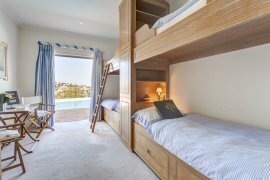 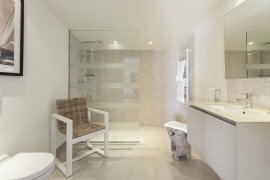 All the bedrooms have sea views and the master suite includes a dressing room and walk in wardrobes. 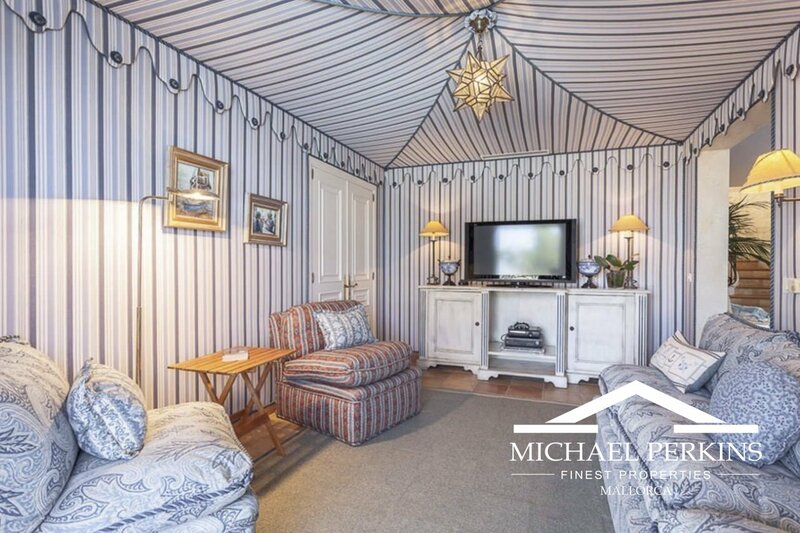 The elegant reception rooms include a living room with large open fireplace, a separate dining room, a tented TV room, a wood panelled study. 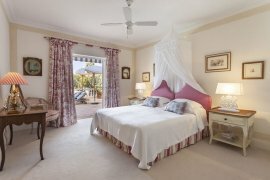 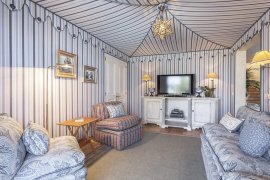 All rooms are decorated to a high standard and the fully fitted country style kitchen featues a beamed ceiling. 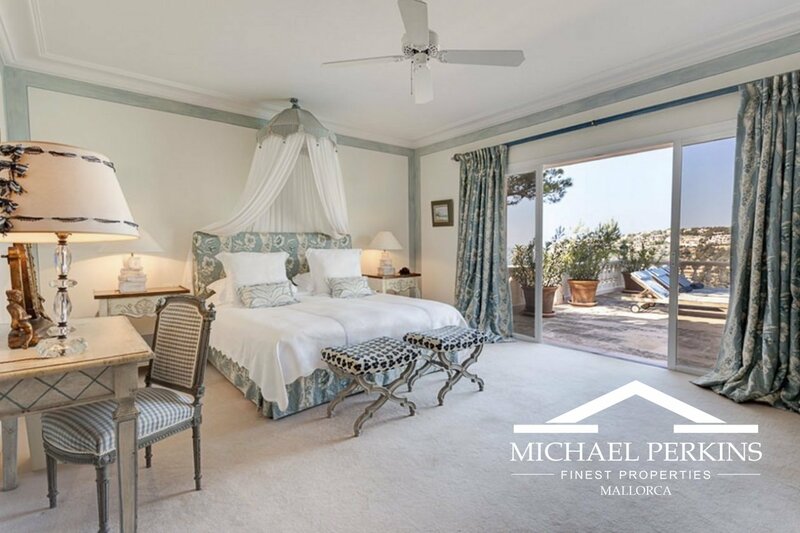 Covered and open terraces surround the villa overlooking landscaped gardens, a swimming pool and beyond to the wonderful sea views. 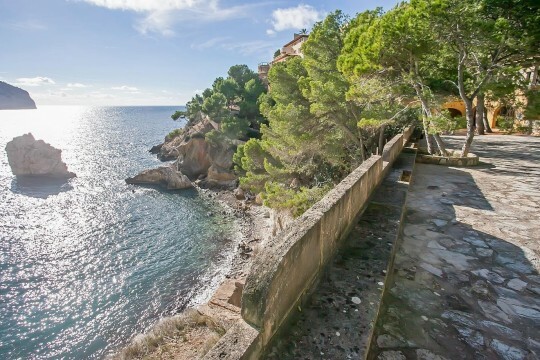 A unique and important feature of this property is the inclusion of an adjacent undeveloped site of 808m2. 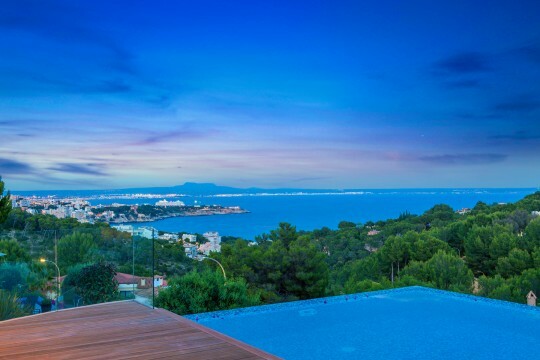 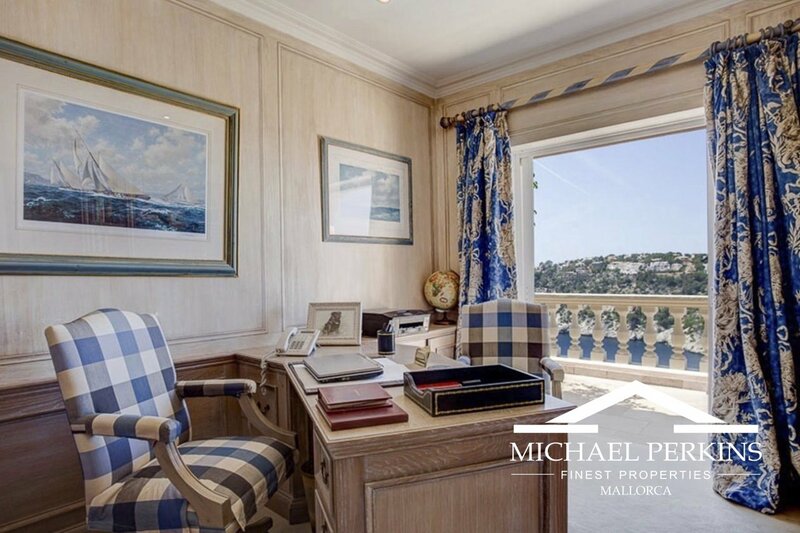 This rare opportunity would enable, subject to planning, either future expansion of the property or the construction of a separate guest villa and spa of around 282m2. 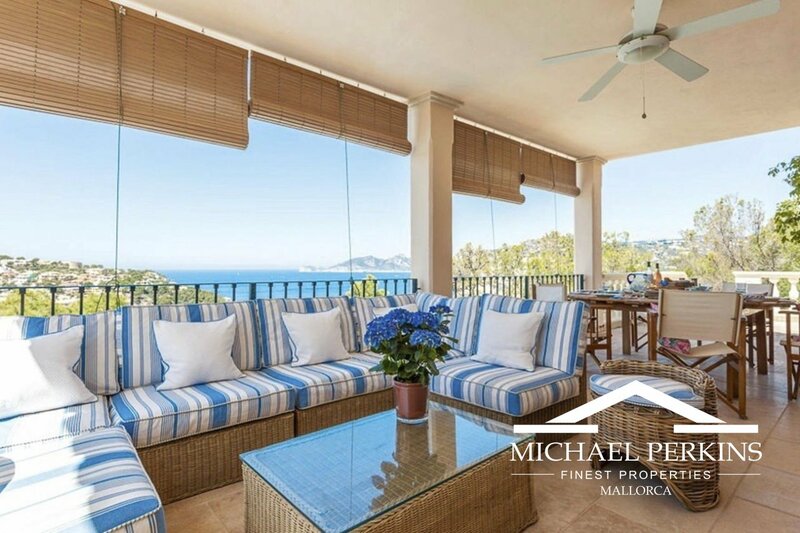 A superior family villa in a much sought after location.